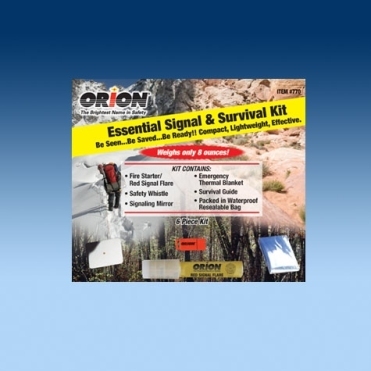 Perfect Signal to make rescuers aware of your location. burns for 7 seconds. Self contained Ignition. 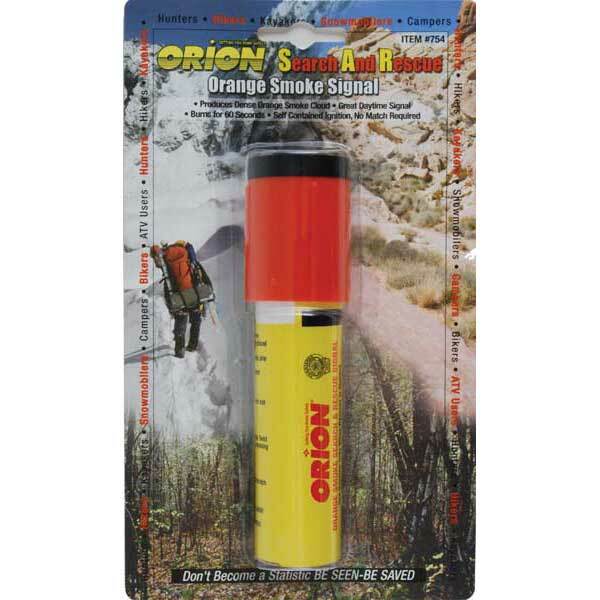 Burns for up to 1 minute and produces a large dense orange Smoke Signal cloud of smoke which can be seen for miles. 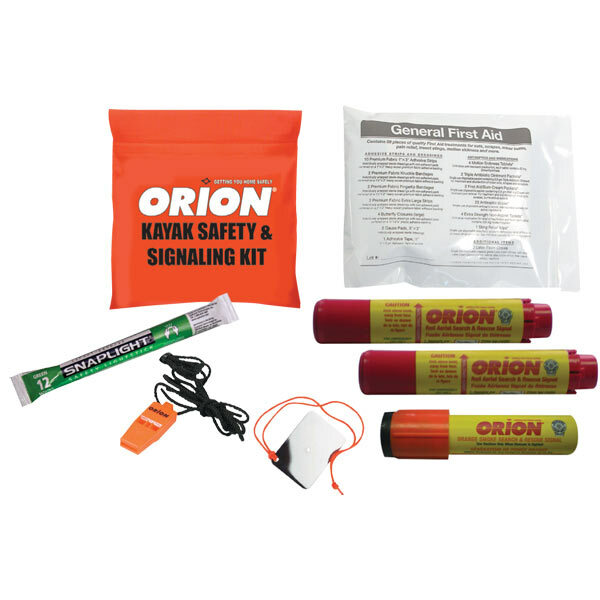 Self contain ignition system requires no Orange external power source. Waterproof and floats. 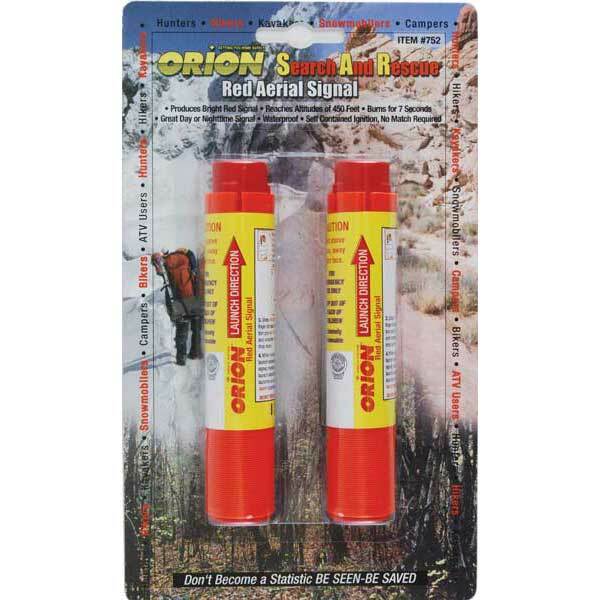 2-Red Aerial Signals: incorporates our pull wire self ignition system. 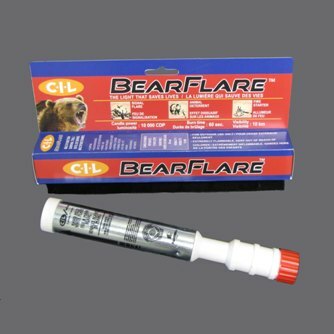 Fires a red signal up to 450 feet high, and burns up to 7 seconds at 16,000 candela. 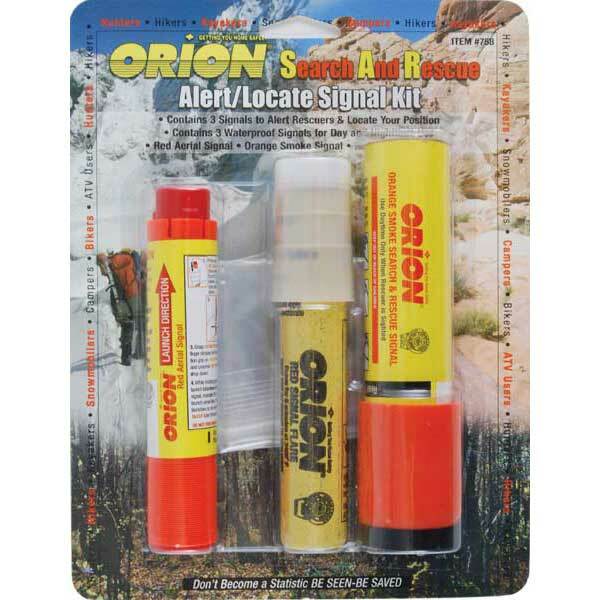 Signals float and are waterproof. Perfect day or nighttime signal. 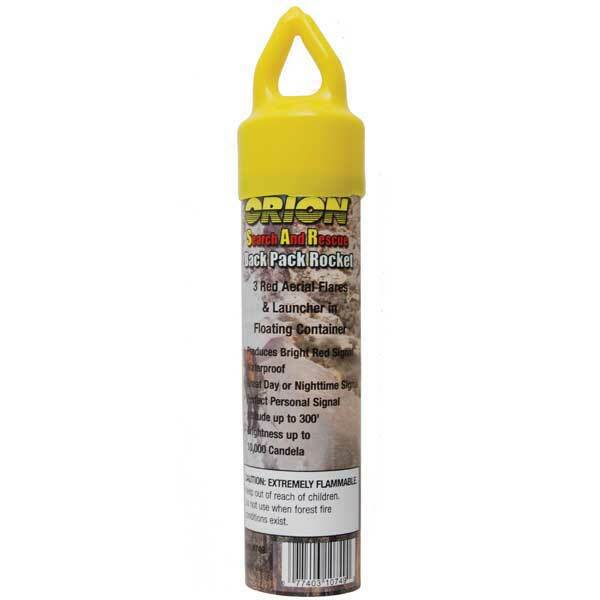 This is perfect for use in dry climates where fires are likely. 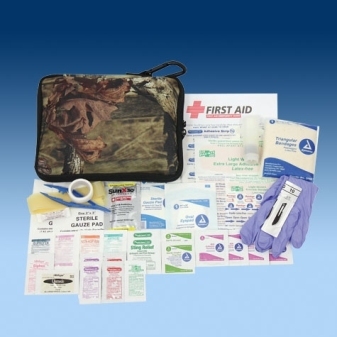 emergency and to help them locate your position. 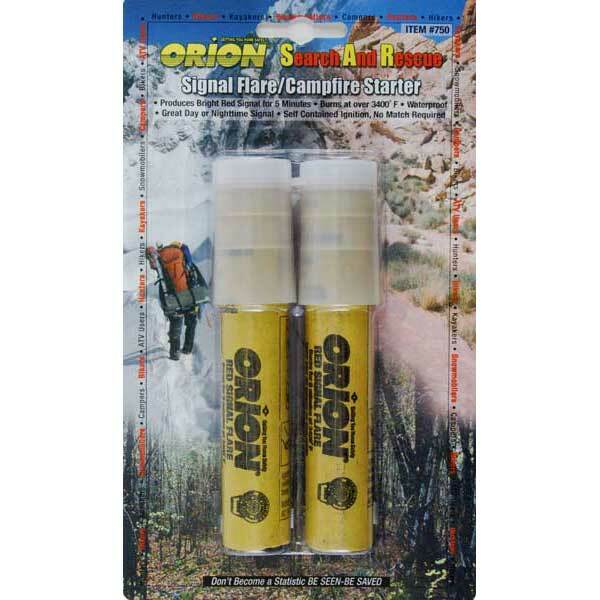 and orange smoke signal. 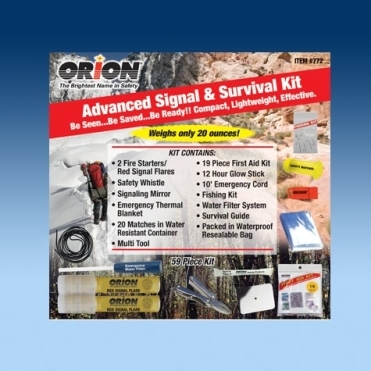 All are waterproof with self contained ignition great day or nigh time signal. 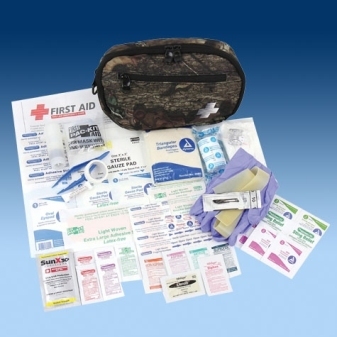 Packed in a durable zip lock, waterproof bag that floats. 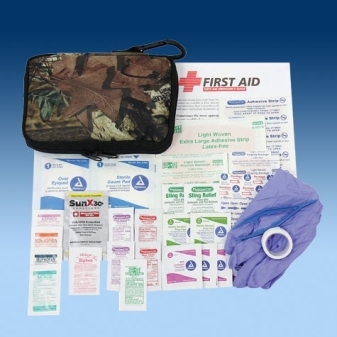 The bag can be mounted to any surface with Velcro strips for easy access in an emergency. 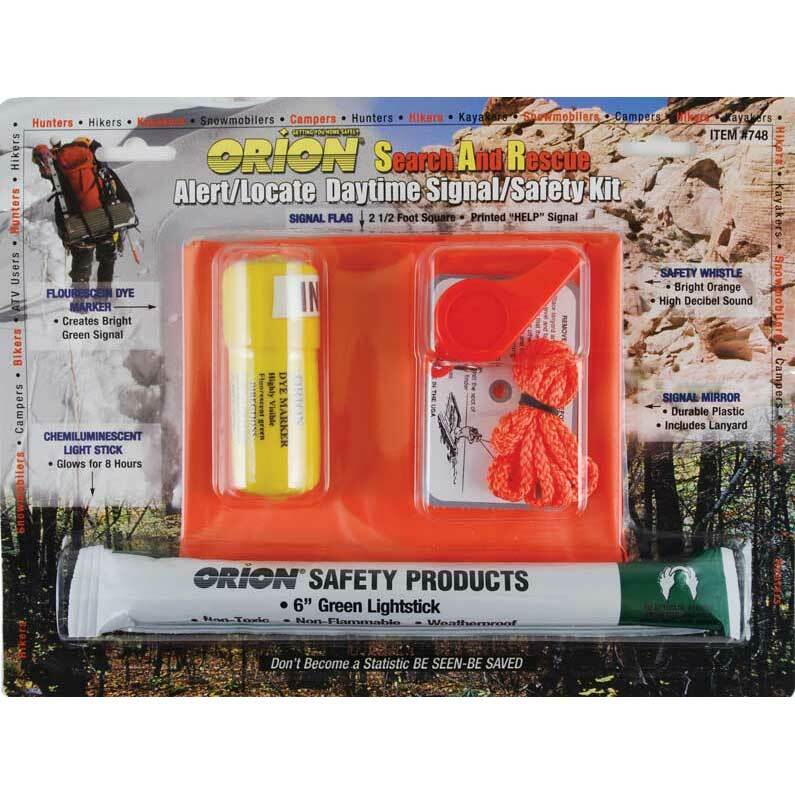 Contains, 2 Red Aerial Signals, 1 Orange smoke signal, 1 Signal mirror with lanyard, 1 SOLAS Approved Orange Whistle, with lanyard 1-6" green light stick and 1-58 pieces first aid kit. 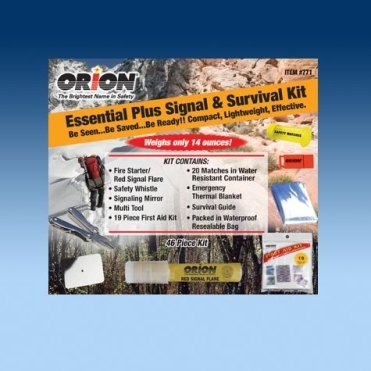 Emergency Thermal Blanket, 20 Matches in Water Resistant Container, Multi Tool. 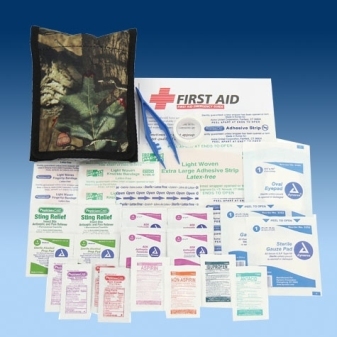 DAY TRIPPER OUTDOOR FIRST AID KIT 6 PER CASE.